SOFTSuite Total Solutions is made up of powerful, yet user-friendly utility billing software options designed to help you keep your billing services running at top efficiency and manage your billing department smoothly. 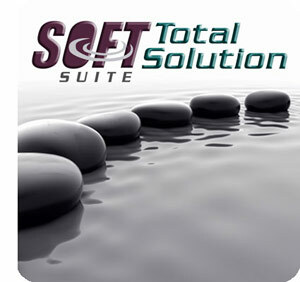 The SOFTSuite package is a seamlessly-integrated total utility management solution. SOFTWater, our billing and management software, is the foundation of our SOFTSuite Solution of products. Offering powerful and flexible solutions to bill water, sewer, sanitation, gas and/or electric and easily manage one utility service or many–metered or unmetered–SOFTWater is unsurpassed as a utility billing and management package. SOFTePay enables you to accept payments by credit card, check or savings. These online transactions will post automatically to your SOFTWater system. You’ll love the freedom of receiving approved payments into SOFTWater with just a click of the mouse. It’s fast, automated, convenient and secure. SOFTRead offers unmatched ease of use and functionality in the field and in the office. Supporting many handheld systems, SOFTRead’s advanced features will eliminate re-reads saving time and money. On-the-spot error checking and online help screens make fast file transfer to SOFTWater efficient and accurate. SOFTLedger interfaces seamlessly with SOFTWater to obtain billing and receivable information automatically. Handling fund/department accounting, accounts payable/purchase orders, budget/general ledger and payroll, SOFTLedger manages multiple funds and provides a wide variety of required reporting information to provide hassle-free integration between your billing and accounting software.